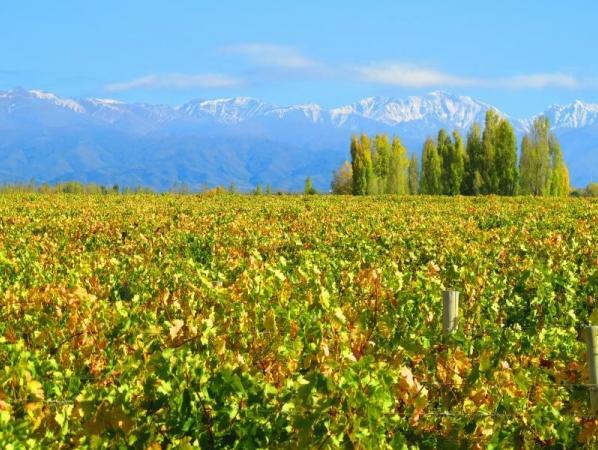 "Laura Catena, daughter of Argentine wine pioneer Nicolás Catena, has a vision of creating a new breed of Argentine wines: small quantities, artisan quality, and true to their individual terroirs. She starts with some of Argentina's best fruit from low-yield, high elevation vineyards. State-of-the-art winemaking and oak aging (primarily French) elevate the wines to a quality level demanded by true wine connoisseurs. The final varietal blends deliver power along with complexity and finesse. They are the ultimate expression of rigorous vineyard management, viticultural experimentation, strict irrigation controls, skilled winemaking, and a quest for quality at any cost. Her current releases include Syrah, Beso de Dante, Malbec, Pinot Noir, and Chardonnay. Luca is named after Laura Catena's son. The family crest (the McDermott family) that appears in the label's background is that of Laura's husband, Dan. Laura is continually inspired by the synthesis of cultures in her own family, and this international inspiration infuses the style and quality of her wines."